It’s that time of year again: tax time! And that means it’s also high season for identity thieves and scammers. Millions of people are affected by fake tax return filings every year. And while we’re talking about tax return fraud, we should take the opportunity to discuss some other tax and Social Security scams, as well. If a bad guy has enough information to convince the IRS that they are you, they can file a tax return on your behalf, usually online. They will of course create a fictitious return that results in a large refund, and have the check sent to them. You won’t know you have a problem until you go to file your taxes and find that it’s already been done. Unfortunately, for most people, the only way to prevent this from happening is to beat the bad guys to filing your taxes. While the Internal Revenue Service (IRS) has a mechanism akin to two-factor authentication called Identity Protection PIN (IP PIN). The IRS provides you with this PIN and you must include with your tax filing in order to prove that you are who you say you are – without the proper PIN, the filing will be rejected. If your identity has already been compromised and you can prove it, you can file a Identity Theft Affidavit (Form 14039), which will qualify you for this PIN code. (Given last year’s massive Equifax breach, I think we’ll be seeing a lot of these this year.) But if you can’t get one of these, then your only hope is to beat the fraudsters to the punch. File early! This is also the season for tax-related scams. Fake IRS emails and phone callers will say that you’ve done something horribly wrong and owe lots of money. You must immediately send them money or face additional fines, jail time, etc. This is not how the IRS operates! So, if you get such a call, just hang up. If you want to be sure, you can always just call the IRS directly. Furthermore, if you get an email that appears to be an IRS scam, you can forward it to phishing@irs.gov. Alerting the IRS will help them to track down these criminals and hopefully prevent them from harassing other people. 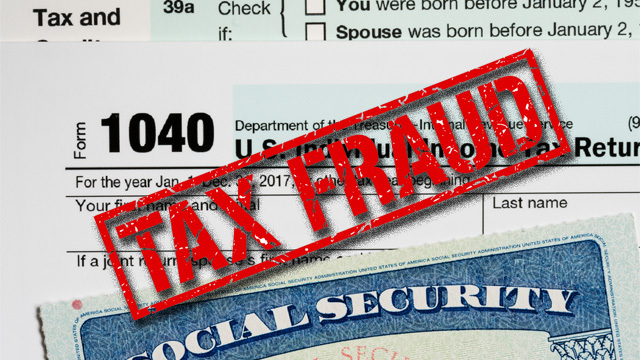 And as long as we’re talking identity theft in relation to the IRS, we should talk about the same with the Social Security Administration (SSA). Fortunately, in this case, there is something we can all do to protect ourselves.